The gel nails and the paint didn’t go very well and the paint were “dripping” out! 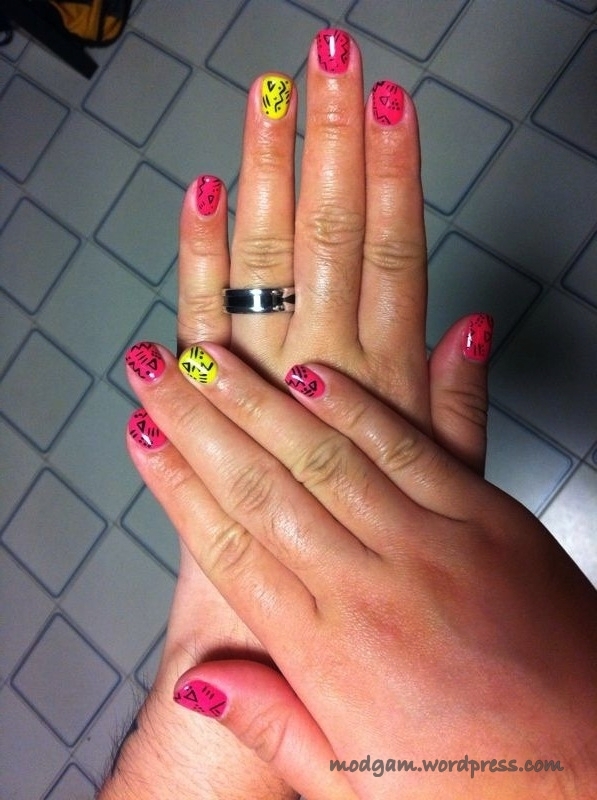 I had to redo them and I decided on neon for the summer and since I love tribal designs, I combined them together. Love it!! I just wish my nail colors wouldnt chip! We love … definately will be trying this ;-D !! How cute! I’ll have to try that! 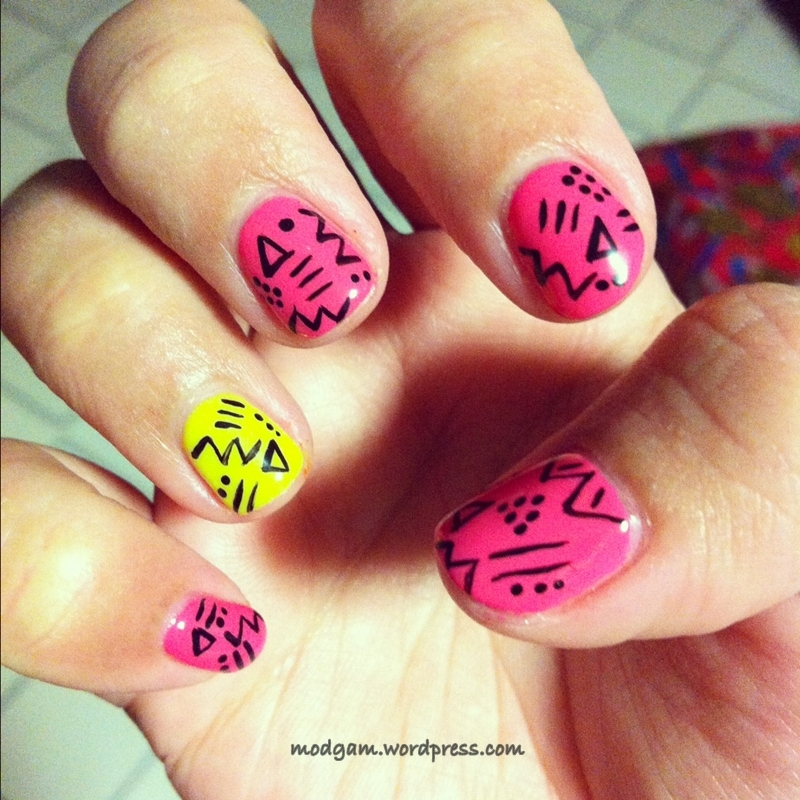 I love tribal and neon together! You did such a great job!